If you’re trying to lose weight, the most important step is that you burn more calories than you take in, and a great way to achieve this is through aerobic workouts that will increase your heart rate. Exercises such as running, jogging or walking are traditional, but highly effective and may not require any fitness equipment. However, if you want to work out in the comfort of your home, there are fitness equipment targeted at weight loss that you should take a look at. Most of the fitness equipment even come with calories counters so you can keep track of how much work you’ve done and how many calories you burn during each workout. 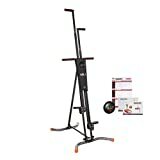 In this piece, we shall chronicle the best weight loss equipment in the market – the Maxi Climber. Let’s take a brief look at some common options suitable for your weight loss dream. Treadmills allow you to jog, walk or run within the comfort of your home, with no worries about severe weather, traffic or the safety of the streets. 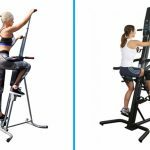 The price range varies according to the features of the machine that you want to buy – from a few hundred to a few thousand dollars – and they are one of the most common types of fitness equipment suitable for weight loss. You may also like: Treadmill vs. Cross Trainer – Which one is better for you? Like the treadmill, ellipticals give your body a great aerobic workout, although some people believe that ellipticals have advantages over treadmills. This is because they tend to be less stressful on the knees, hips, and back than treadmill workouts. Some of them even give you the option of an upper body workout. Also Read: Is the Elliptical Good for Losing Weight? Bikes are sort of a mix of the traditional and modern way of fitness training. You could get an upright bike or a recumbent one. Each bike offers different levels of resistance, and you should try out any bike you’re taking a look at before you purchase it, to ensure that it suits you well. Extras such as a bottle holder or a book rest might be deal breakers for some people too. As the name suggests, this machine attempts to duplicate the workout that you get from climbing stairs at your office or home. The pressure it exerts on the knee and foot means that it might not be the best option for people that have issues with these body parts. One potential con, however, is that they tend to take up a lot of floor space. An equipment that allows you go mountain climbing without actually climbing a mountain. The fitness equipment highlighted above are some of the popular options for weight loss. Meanwhile, there’s an incredibly efficient equipment suited for the same purpose, and that is the Maxi Climber. The Maxi Climber remains one of the best vertical climber machines on the market. Unlike the stair stepper, it is a very compact machine and can easily be stored away. The Maxi Climber was designed to duplicate the effects of traditional workouts such as mountain climbing, burning calories from every part of the body – from the arms down to the thighs. The device has a calorie counter that will keep track of how many calories you burn and the number of steps that you take. The timer comes on automatically immediately you begin your workout, and it stops running when you stop too. The Maxi Climber can accommodate people of different heights, as it has a built-in adjustable height setting, with five different height options to choose from. A low-impact form of exercise – this means that the machine will not put too much stress on your joints, and your recovery rate is sped up, allowing you to work out more often than you could have on a high-impact machine. It takes up very little space compared to other types of cardio equipment, and it is built for secure storage. This means that the machine can easily be folded up and stored away whenever it is not in use. You can store it in your closet or just slide it under your bed. When extended to full size, the machine is 22 inches wide, 79 inches tall and 36 inches in depth. It only weighs 34 lbs. So it can quickly be moved around from one place to another. The machine is relatively easy to assemble and comes with user-friendly functions, making it easily operable and practical. Apart from the weight loss benefits of the Maxi Climber, it also promotes a very healthy cardiovascular system, meaning that you get to improve the health of your heart while working on your weight loss. 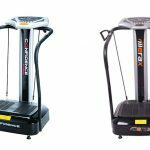 Maxi Climbers are not the only vertical climber equipment on the market, and two other options are the Conquer Vertical climber and the Sunny folding climber stepper. The three machines are built for very similar purposes. However, the Maxi Climber holds more advantages over the other two. The Max Climber supports weights of up to 240 lbs., while its compatriot supports up to 220 lbs. The Max has a digital display unit to show the number of steps. The Conquer does not. They both support weights of up to 240 lbs. The Conquer’s nylon cord makes it prone to damage more efficiently than the Max. The Maxi Climber is more expensive – a potential deal breaker – but you get what you pay for. Losing weight by performing exercises is the best way to burn extra calories that you consume during meals, and what better way is there to achieve this than with a machine that mimics mountain climbing? 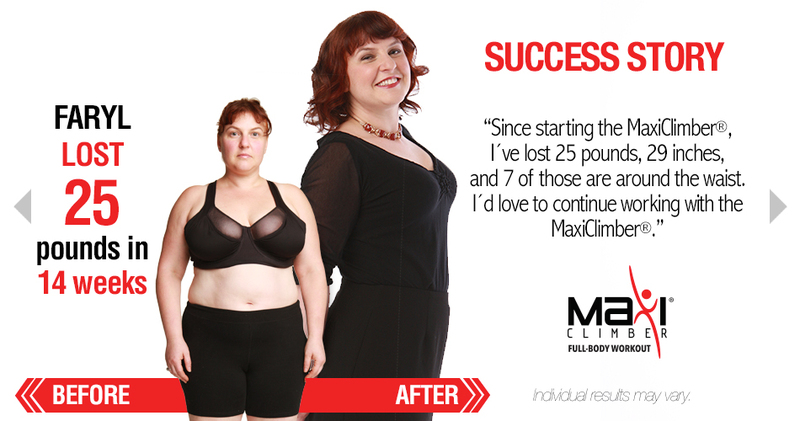 Vertical climbers are incredibly effective weight loss equipment, and the Max Climber is arguably the best out there. If you’re looking for the most efficient way to burn that extra fat, you know what to do!